This guest post was written by the CBD experts at Hempure. The endocannabinoid system (or ECS for short) has gained recent exposure over the past few years as CBD and other prominent cannabinoids have started to gain interest from the public. What is the system, though? And what role does it play in health and human wellness? A recent survey discovered that only 13% of medical schools teach about the ECS (perhaps because it’s a relatively recent scientific discovery). In 1988, scientists at The Institute of Medicine (now the National Academy of Medicine) discovered this system when attempting to figure out how cannabinoids produced their effects within the body. The ECS is unique because it exists throughout all 11 major physiological systems of the body. Because of this, many people refer to the ECS as the “meta-system” of the body. This single system helps to regulate and balance all of the other major systems of the body. 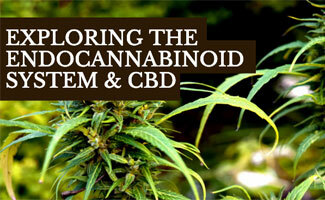 The endocannabinoid system produces different effects depending on its location in the body. However, in each area of the body, it has one goal in mind: establishing homeostasis. Think of homeostasis in a similar way to balance. Each system of the body can reach a state of balanced equilibrium in which it is healthy and functioning properly. To help better understand homeostasis, consider the two poles associated with sleep. On one extreme, you can feel tired and in need of sleep. On the other extreme, you feel overly energized and excited. In the middle of those two poles is an ideal state of adequate energy and rest. Every system in our body has a similar state of balance that allows that system to function at its best. The ECS encourages each system to reach that state. When the immune system is in homeostasis, for example, it can better fight off infections and diseases while also keeping inflammation in check. With a balanced nervous system, you’ll have a good state of energy and feel focused and calm. Want to understand the basic science behind the ECS system? This video breaks down the biology in easy-to-grasp terms. Many different things can cause our ECS to fall out of balance. A poor diet is just one example. By eating a diet that’s too high in sugars and fats, your ECS gets out of whack and sends signals to other parts of your body that create feelings of hunger, which in turn causes overeating. But by eating a healthy diet, you can keep your endocannabinoid system balanced (hence, no bad signals that trigger feelings of hunger) so you’re less likely to overeat. In this case, you can see how the ECS plays a major role in the regulation of hunger. Extreme emotional stress can also lead to an imbalanced immune system. With high levels of stress, your endocannabinoid system can become over stimulated. With an overstimulated ECS, all other systems of the body start to get imbalanced. Along with poor diet and stress, genetic factors and various diseases can also play a role in pushing the ECS out of balance. In addition to eating a healthy diet and reducing stress, there are several other ways you can keep your ECS system in harmony. Exercise is a great way to keep the endocannabinoid system in balance. When you exercise, your body naturally releases endocannabinoids that help regulate your system. Along with producing endocannabinoids, exercise helps to manage stress levels and keep a healthy weight which both contribute to a balanced ECS. CBD is one of the best supplements you can take to balance out your ECS. CBD is a phytocannabinoid that’s found in the cannabis plant. Unlike THC, the psychoactive compound in cannabis, CBD doesn’t produce any of the psychoactive effects that are associated with cannabis. CBD works to boost your body’s ability to produce endocannabinoids in your ECS. This action helps to balance the endocannabinoid system because it has more of the necessary components available to use. Try taking CBD oil if you want to experience the balancing effects of CBD. Many American diets don’t include a proper balance of Omega 3 and Omega 6 fatty acids, which you can supplement with fish oil. The common Western diet tends to have an enormous number of Omega 6 fatty acids but a lack of Omega 3. The body produces endocannabinoids by converting Omega 3 and Omega 6 fatty acids into endocannabinoids. By taking an Omega 3 supplement, you can increase the number of endocannabinoids your body is capable of producing and encourage a balanced ECS. The endocannabinoid system is one of the most important parts of the body for building and maintaining optimal human health. If you exercise, eat a healthy diet, and take supplements like CBD and Fish oil, you can help to balance out the endocannabinoid system and ensure that you live in a state of optimal health. Learn more about CBD oil benefits and our top picks for the best CBD oils that you can use to start feeling better soon. Have you tried CBD products, or are you considering them?